One of the most rewarding aspects of working in commercial real estate is the level of generosity displayed by those of us in this industry. We give back to make our communities better places to work, live, raise families and do business. Over the years, BOMA/Chicago Building and Affiliate members have taken a leadership role through programs like the LifeSource Blood Drive and annual holiday food drive to benefit the Greater Chicago Food Depository. 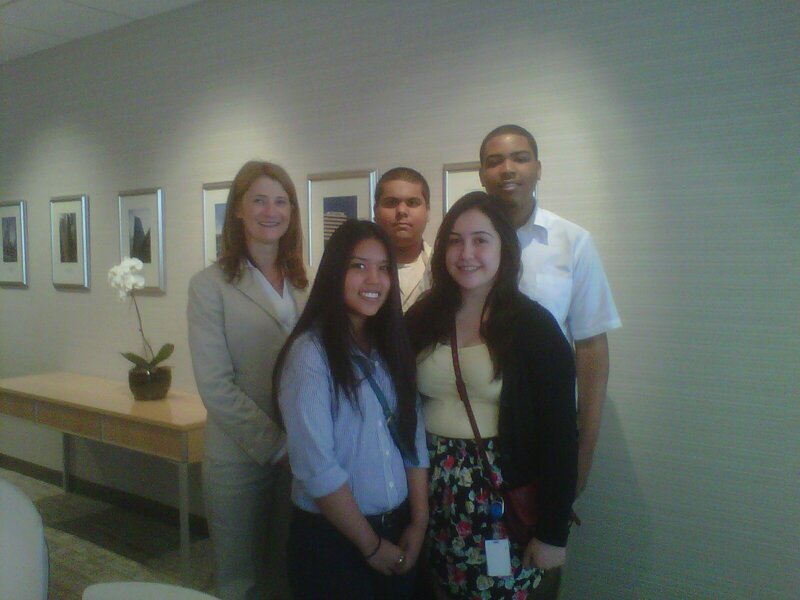 This year, my company, Piedmont Office Realty Trust, took a step in a similar direction, but on a more personal scale: We hosted a summer internship program that gave five young people from Chicago International Charter School a behind-the-scenes perspective on what it takes to manage an office building and work in a professional business environment; and hopefully, we offered them a better chance to reach their full potential as adults. Now in its second year, the four-week program got its start this way: Our team at Piedmont was brainstorming ways to improve our community involvement, which is a requirement to succeed at all levels of The Outstanding Building of the Year (TOBY) awards. We considered volunteer programs at hospitals, foundations and other organizations, but decided to develop a program that would bring students from Chicago International’s charter school campuses here to our offices. As a trained teacher, I took charge in designing the curriculum. The students met here at the Piedmont Offices three days per week from 8 a.m. to noon. They were not assigned specific work tasks, but they were given some hands-on assignments to complete, which taught them the value behind proper business protocol. For example, they were required to write thank you notes after meetings with visitors and counseled on how to manage and control their profiles on social media sites like Facebook. Expose the students to a variety of professionals in commercial real estate so they would get a big-picture perspective of the industry. They met with the team lead of a Jones Lang LaSalle leasing team to learn about the marketing strategies they employ. They met with other members of the property management team to learn how we tackle administrative and management duties. And, we even paid a visit to Chris Happ of Goby, the building environmental consulting company, to discuss green design and energy efficiency and visit their green rooftop. Broaden the students’ knowledge of the business world and the world beyond their immediate communities. Our interns, who are all high-school aged, live in all corners of Chicago and many were not exposed to what happens in the office buildings downtown. The students learned that many of us in this industry had different career paths that led us to commercial real estate. This revelation inspired some very provocative comments from the students. Here are a few they shared. We really enjoyed this opportunity to partner with CICS and support the community and the real estate industry in such a worthwhile activity. It proved to be a mutually beneficial experience for both the students and our Piedmont team and positively exemplified Piedmont’s core corporate value surrounding stewardship. At this year’s BOMA International Conference, nurturing the next generation of commercial real estate professionals was a big topic of discussion. Our internship program is a step in that direction. What’s your property or company doing to pave the way for young people to work in commercial real estate? Your thoughts and ideas may inspire others, so please share. LEED Green Associate and Senior Property Manager at Piedmont Office Realty Trust. This entry was posted in Chicago CRE industry and philanthropy, CRE Trends, Philanthropic Outreach and tagged BOMA/Chicago, Chicago International Charter School, commercial real estate, Greater Chicago Food Depository, LifeSource, nurturing the next generation of commercial real estate professionals, Piedmont Office Realty Trust, social media sites, The Outstanding Building of the year. Bookmark the permalink. What a great approach to putting action behind your community commitment. Kudos to Piedmont and Becky – and to your interns. Very cool, Becky. I’m going to share your post with my corporate initiatives team at EOP. Each quarter we take on a new philanthropic mission but I like the potential long term impact of your work with CICS. Shannon – To your point about potential long term impact, CICS plans to track the students who participate in this program so we will know where they go to college, what they are studying and where they pursue careers. Our hope, of course, is they decide to pursue careers in commercial real estate. Should you or your corporate initiatives team wish to dicuss this program in more detail feel free to contact me.